Can you believe these are nappy bags? I have to say I had to double-check, but yes they are indeed. 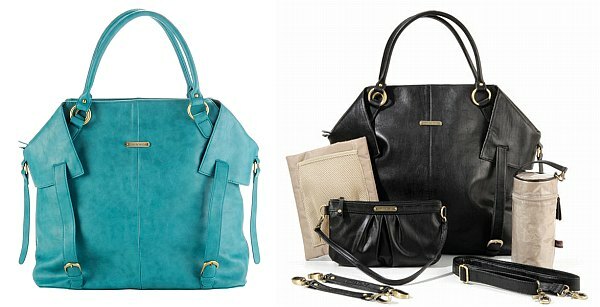 We’ve told you about the rather fetching Timi and Leslie bags before, but now an even wider range is available locally. Loved by celebrities like Nicole Kidman and Angelina Jolie, these faux leather bags (no PVC in them) have all the necessary bits and pieces required by mums with young children, but without the scratchy nylon, dull-coloured facade of many other nappy bags. There’s several striking styles to choose from and each has lots of handy pockets, an insulated baby bottle holder and is water resistant. They also have a rather marvellous changing pad and with a front mesh pocket to store nappies, wipes and creams. 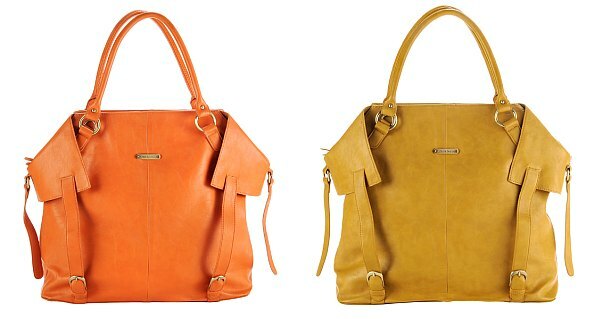 I love the new summer colours of the “Charlie” – available in mustard, teal and tangerine. Lovely refreshing tones to brighten up any buggy! Local stockist Bearing Gifts carries a wide range of the bags, including the gorgeous new season models, at $199 each with free shipping. Other ranges we have covered before on Babyology are available from My Brood.